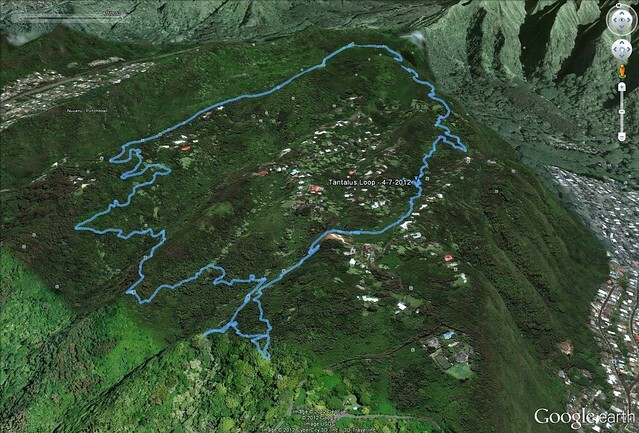 On April 7, 2012 I headed up Tantalus for another ramble and a nice 5.41 miles loop in the hills above Makiki. 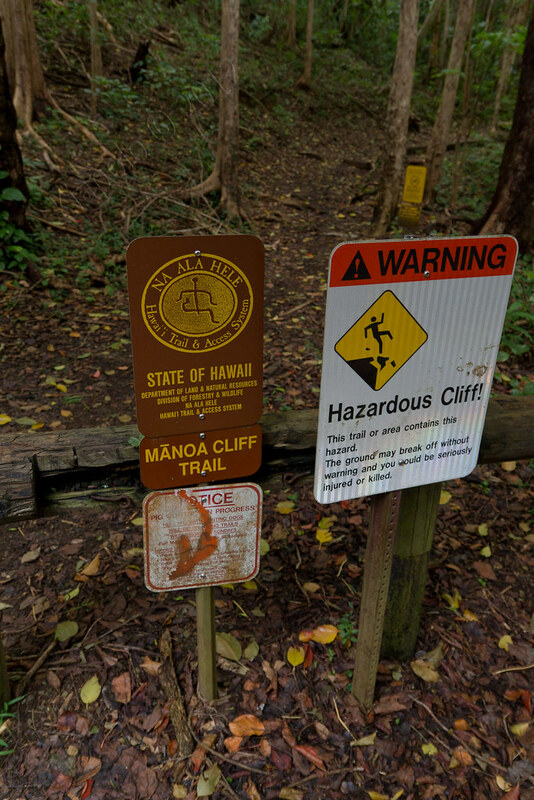 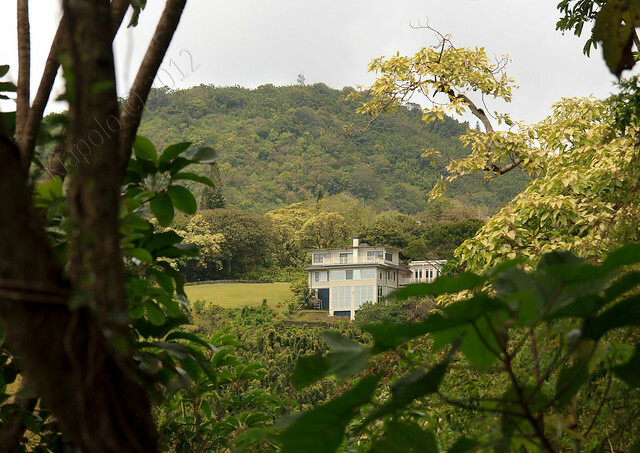 I started on the Manoa Cliffs trail, up the Pu`u `Ohi`a Trail, down the old telephone road from Pu`u `Ohi`a, down the Nahuina Trail, accross the Makiki Valley Trail, and finally up the Moleka Trail back to the start of the loop at the Manoa Cliffs trailhead. 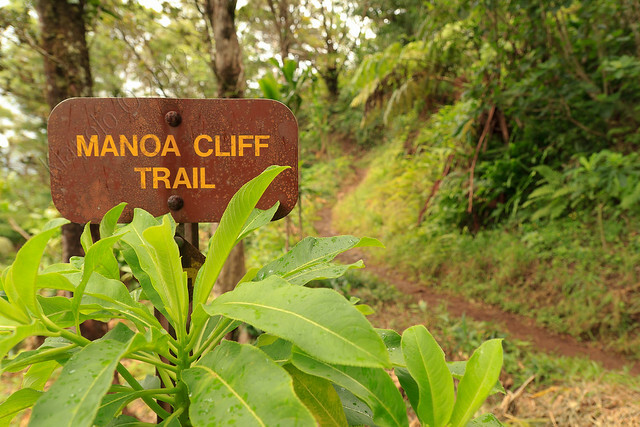 I quickly made my up the Manoa Cliffs trail and past my 1995 Eagle Scout project. 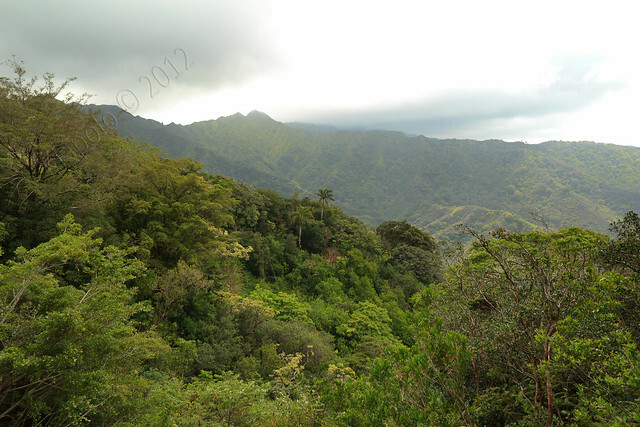 The Ko`olau at the back of Manoa Valley was clouded over, but still pretty. 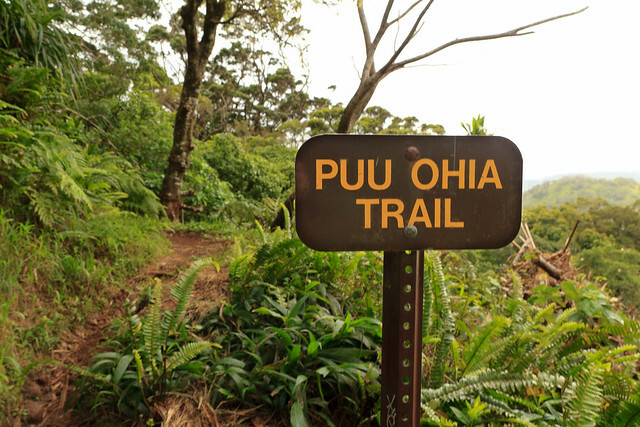 At the Pu`u `Ohi`a junction I headed left up to the top of the Tantalus crater. 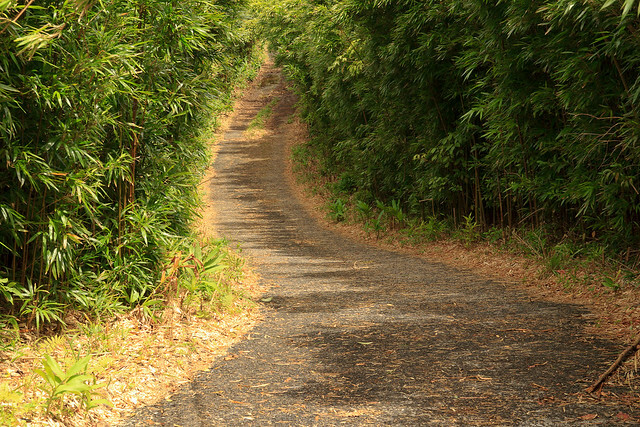 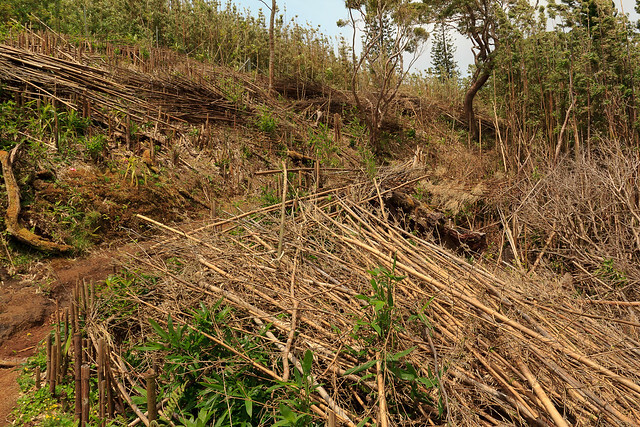 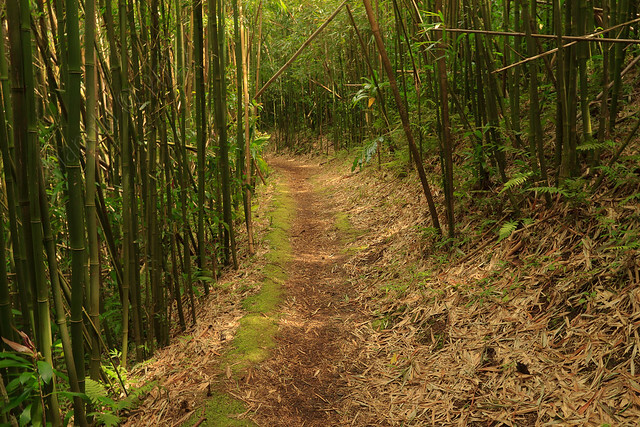 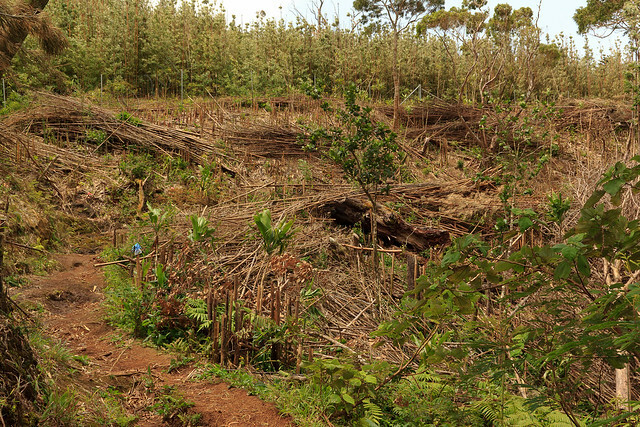 The State has cleared a large section of bamboo that had previously lined the trail. 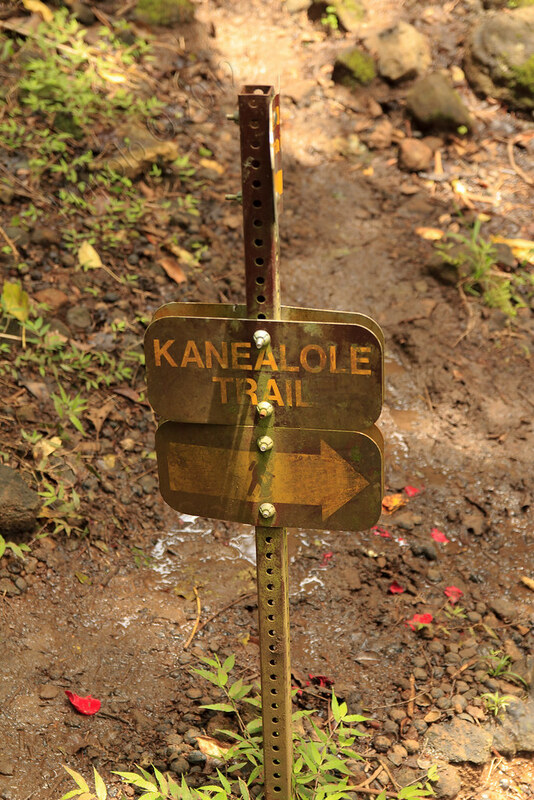 I headed down the old Telephone Road to the Kalawahine trail head. 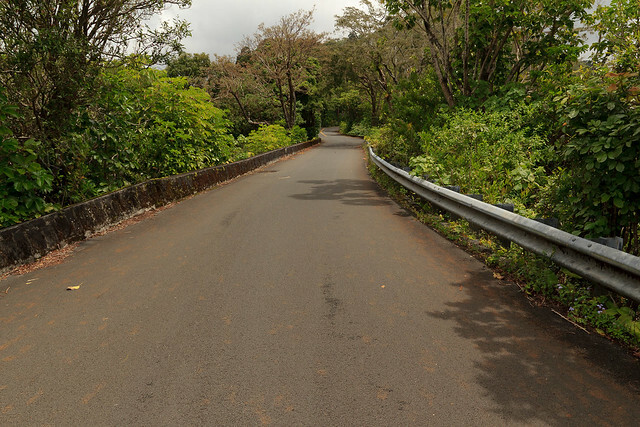 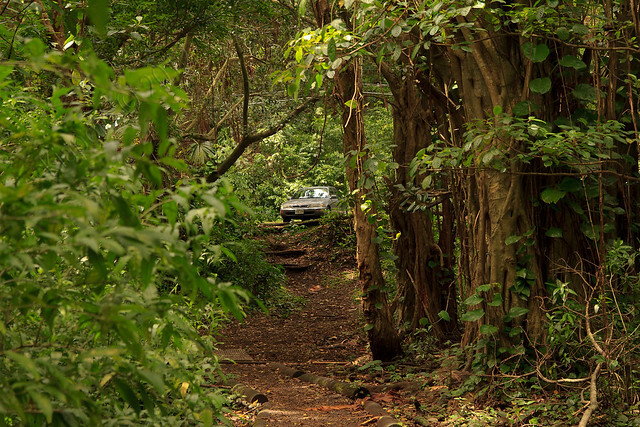 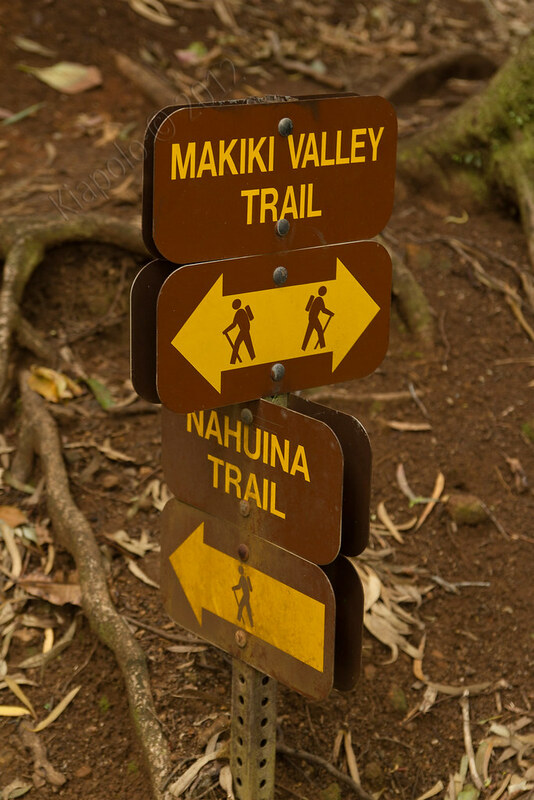 Headed across and down the road to the Nahuina Trail. 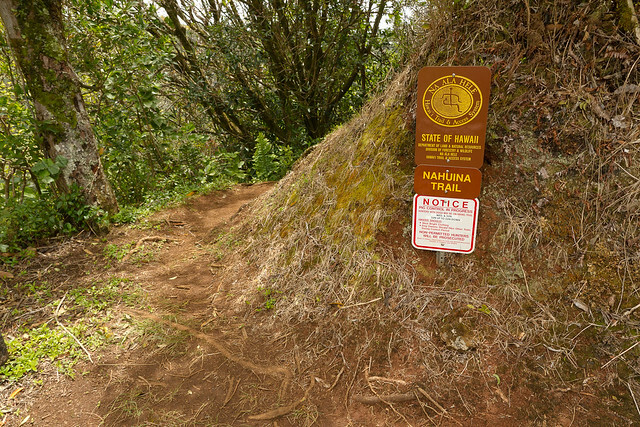 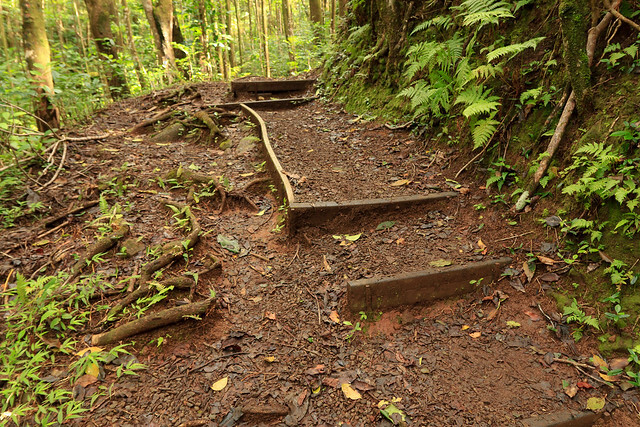 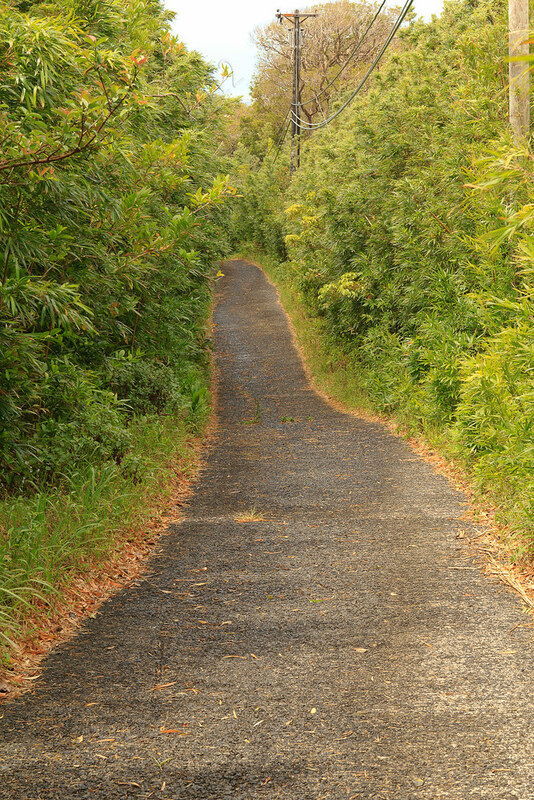 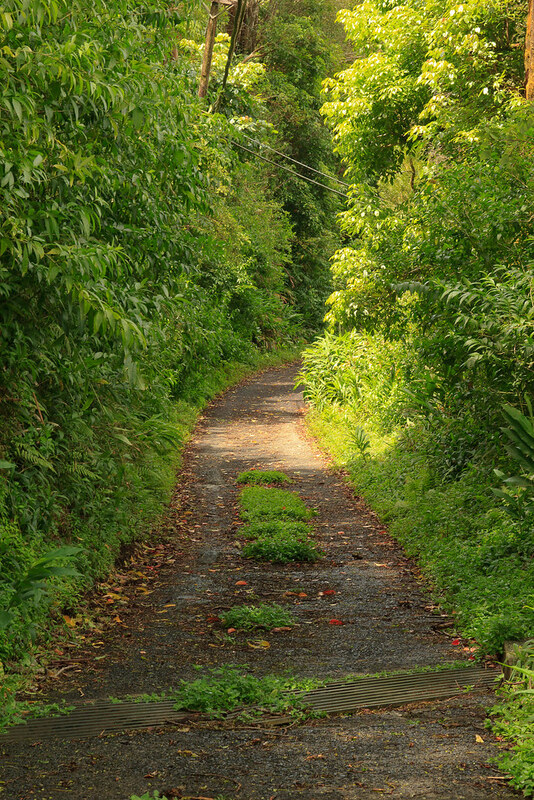 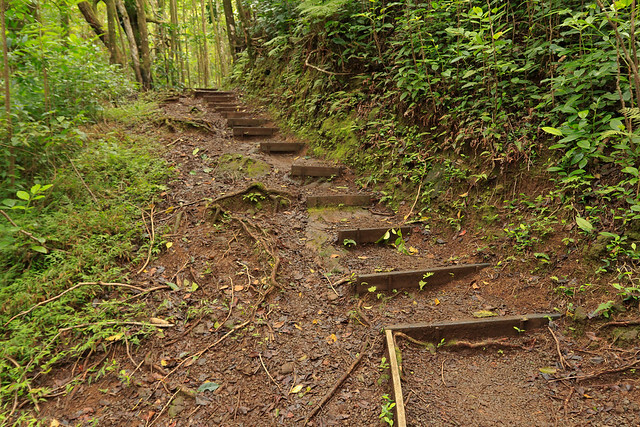 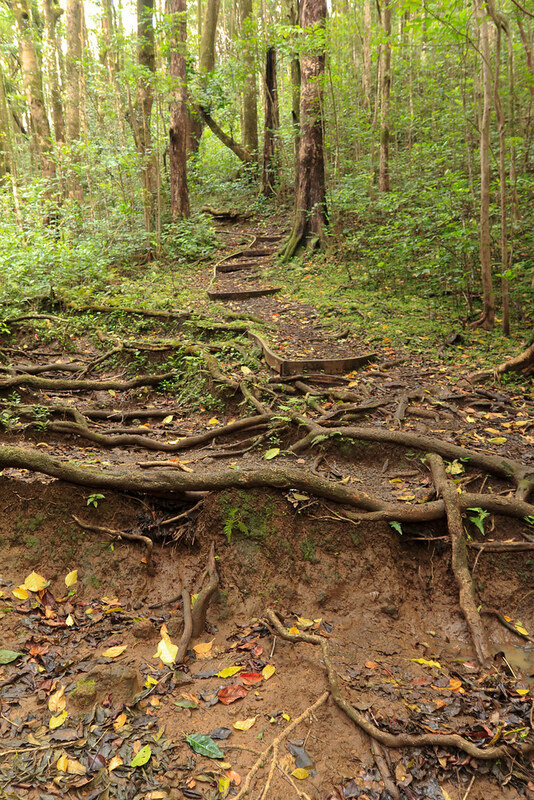 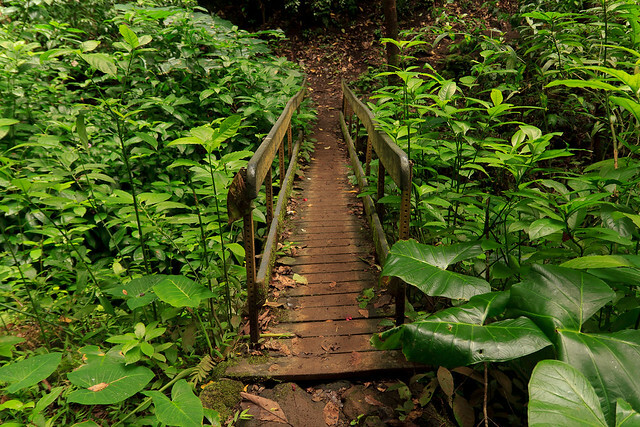 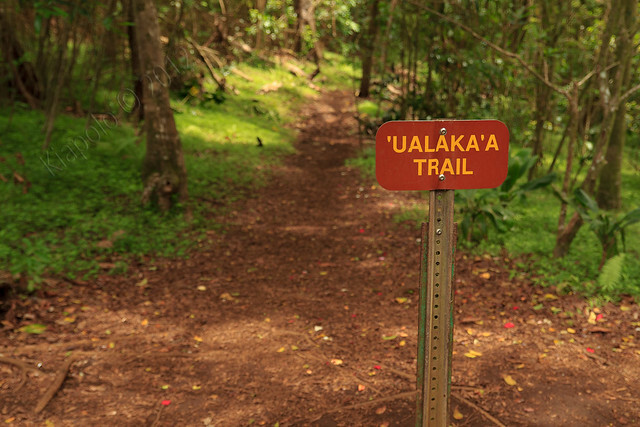 The Nahuina Trail is short and leads to the junction of the Makiki Valley Trail and Kaneaole Trail (which leads down to the Nature Conservancy in Makiki). 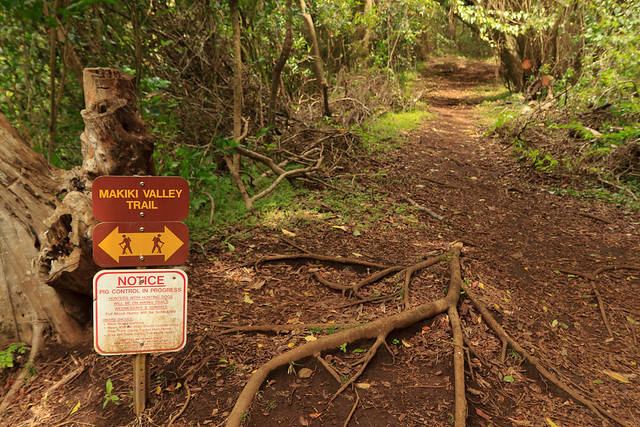 Cross a little bridge and before you know it you're at the junction of the Makiki Valley, Maunalaha and Ualaka`a Trails. 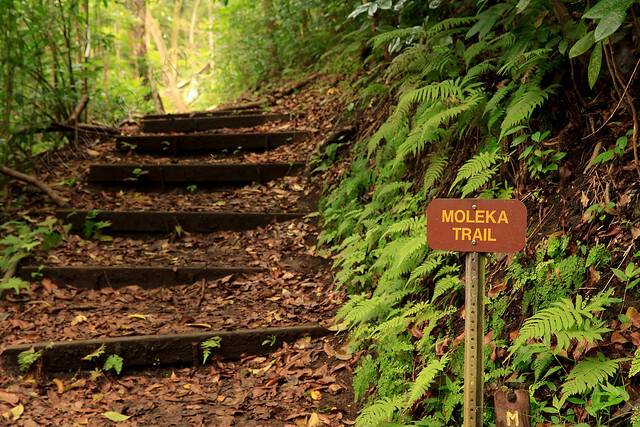 Continued on the Makiki Valley Trail until it reached the Moleka Trail junction. 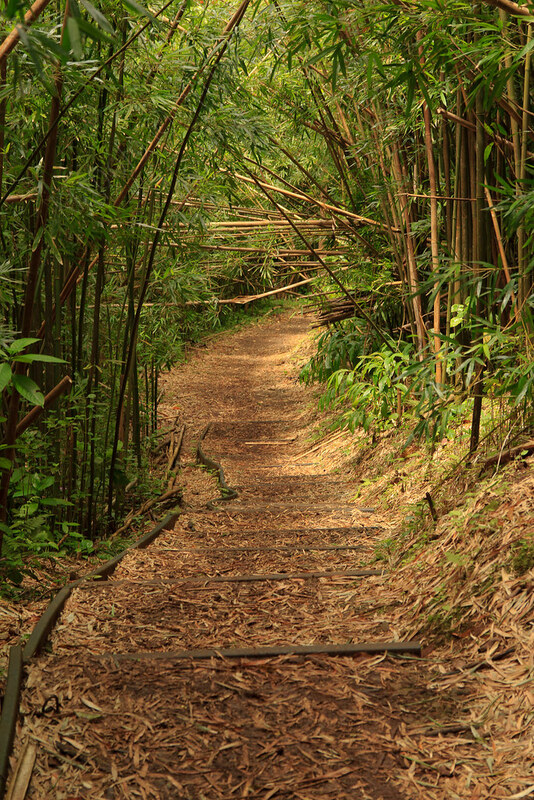 Headed up the Moleka Trail, through some bamboo, under some nice homes, and back to my car at the Manoa Cliffs trail head.